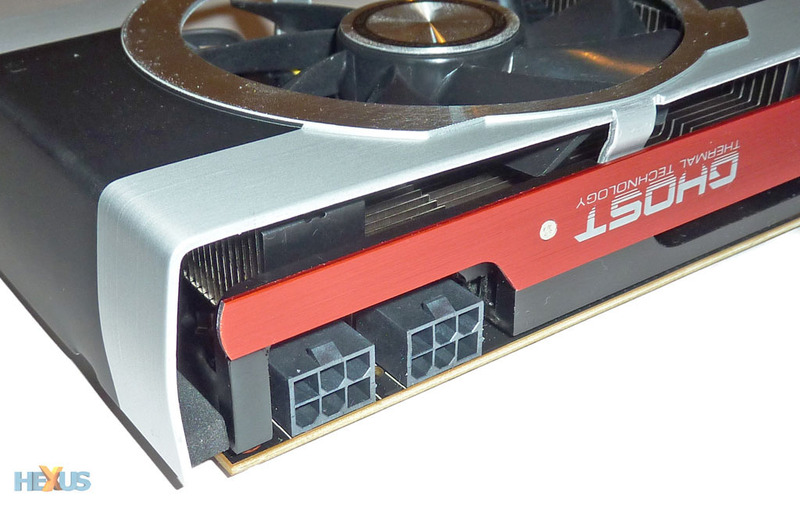 AMD pushed back the Radeon HD 7950 3GB GPU launch a few weeks to enable partners to have plentiful stock in the channel. The slight lull between 'Tahiti' cards also provides an opportunity for add-in board (AIB) companies to release custom designs, complete with bountiful overclocking, if our reference card results are anything to go by. In concert with the reference review, first up for us is XFX. Don't be surprised if the card looks familiar to you; it's the same cooler as found on the 7970 Double Dissipation model. In a nutshell, the cooler doesn't enclose the underlying heatpipe-assisted heatsink. Rather, it's left to float over it, leaving plenty of room for air to circulate around the card. XFX reckons this setup provides superior airflow venting through the card rather than channeling it all out of the back, as is the case with most modern high-end GPUs. The PCB itself is similar, though not identical, to the reference card's; it's a touch shorter but the overhang of the heatsink makes this card practically the same size, coming in at 11in long. This particular version is known as a Black Edition, where there's been generous overclocking for both the core and memory, and this bad boy chimes in at 900MHz core and 5,500MHz memory, almost matching Radeon HD 7970 speeds and well above what AMD mandates for a basic HD 7950. 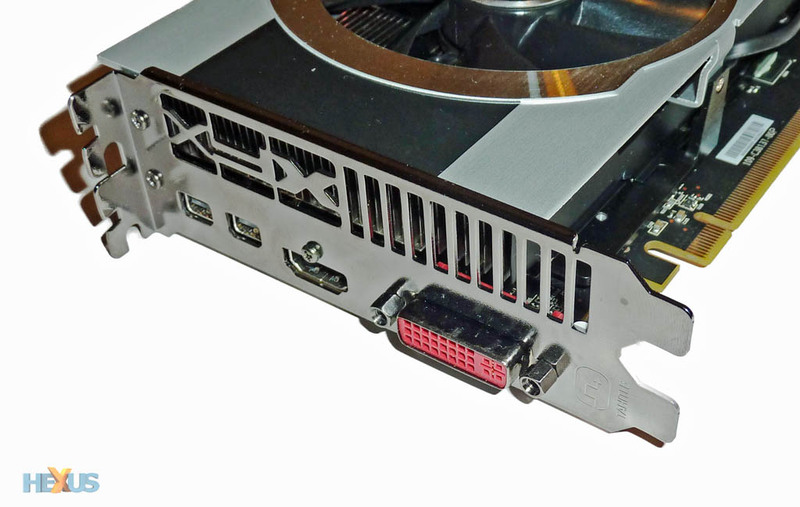 Even though XFX has given it a frequency makeover, the reference-like PCB means there are two six-pin PCIe connectors, rather than the 6+8 on the HD 7970. Two CrossFire fingers and a BIOS-toggling switch are present, naturally, so any differentiation will be down to two factors: the speed-up from the higher frequencies and any noise/temperature benefits of this twin-fan cooler. The itty-bitty BIOS switch is actually useful on this model. You see, XFX ships the card with a BIOS that puts more focus on reducing noise than on super-low temperatures. This Standard Gamer Profile BIOS makes the fans run at around 40 per cent of maximum when the GPU's at 70°C, which is about as high as it goes for general gameplay. A second BIOS, dubbed Enthusiast, is available once the purchaser registers with XFX's 5-star program. This BIOS changes the fan profile to run at around 65 per cent when at the same 70°C, putting performance ahead of noise - you would need to overvolt the card to hit such a temperature, mind.. There are no changes to the default voltage, however. One can install the Enthusiast BIOS in the second switch position and use it when pushing the frequencies further. Like AMD's own card, the four digital outputs are contained on the lower section, thereby enabling a smoother passage of hot air to escape through the rear. XFX has informed us that this top-of-the-range Radeon HD 7950 3GB will ship with a £65 premium over a bone-stock, reference-like card. Therefore set to arrive at retailers for around £415, fitting between the cheapest HD 7950 and HD 7970s, let's see if performance stacks up.